Travel Expos - Join Us! Travel Expos - Join Us! Why use an agent? Why use an agent? Whether you have a week to spend together, or just a weekend, a wonderful vacation can be arranged for you and your friends/family by Milne Travel. And the best way to assure great value on your next vacation is to plan it now. 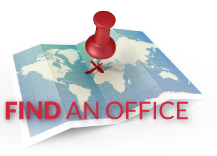 Our dedicated account managers develop custom air and travel programs that fit your business. Our travel specialists use technology to search the lowest airfares online and via databases exclusive to the travel industry. This ensures our lowest-price guarantee — and saves you time. See the world you've read about in the history books - plan your next educational tour with Milne Travel! We will work with you to create a customized trip that works for your group, no matter how large, all while meeting your budget requirements. Need Help? Contact us today and we'd be happy to assist you. Milne Travel has the largest geographic footprint of any New England-based travel agency, with 9 locations in Maine, Massachusetts, New Hampshire, New York and Vermont.